Sleep in ease in our Beautyrest Plush Heated blanket with Secure Comfort Technology.Designed to virtually eliminate Electromagnetic Field emissions. The soft flexible wires and ultra-soft microlight plush fabric ensures your comfort, extra warmth and loft. 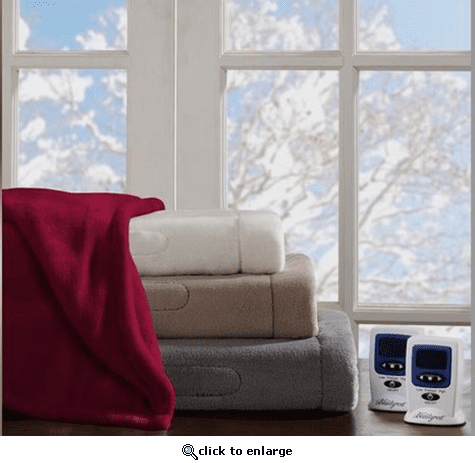 The heated blanket features 10 hour auto shut off and has 20 different temperature settings to meet your comfort level.